Lansdowne as the name implies a British hill station named after Viceroy of India, Lord Lansdowne in 1887.Last weekend we planed from office to go somewhere for outing. Due to our busy schedule in office we wanted some change in our life, so we all make plan to find some new and fresh place to visit. Our Sir Sudipta asked us to find a fresh and new place which is near to Delhi and we could come back on the same day. Everybody searched in internet, and then Janit find this place Lansdowne. We gather as many information we could and final the place to visit on 13th March which was Saturday, so that we could rest on Sunday. I was so excited to go because this was my first trip with my office colleagues. We arranged every necessary thing which is needed during our travel. Sanjeev arranged snacks for us.Firstly, we book two Scorpio because we are14.In each Scorpio we were 7 people. We got up early in the morning around 3:30am and become ready. At around 5:00am our group came to pick me infront of my house. As I went outside the house it wa s dark night and no one I could see in my colony. From here my journey started. From here we went to pick our Sir and his wife, they were waiting for us at the meeting point. Our second group also meets there. Then we proceed to Lansdowne. 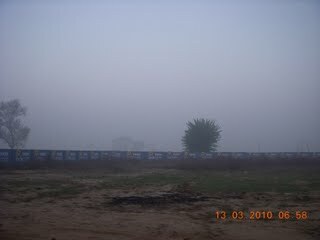 On the way we crossed Ghaziabad, the road was ok but heavy traffic at the morning time. At the same time I was thinking when we reached there? How much beautiful the place would be? About the attraction of Lansdowne etc n etc. On the way we tell th e driver to stop somewhere so that we could have tea. The driver stops around 7:05am and we reached a restaurant for having a cup of tea or coffee. 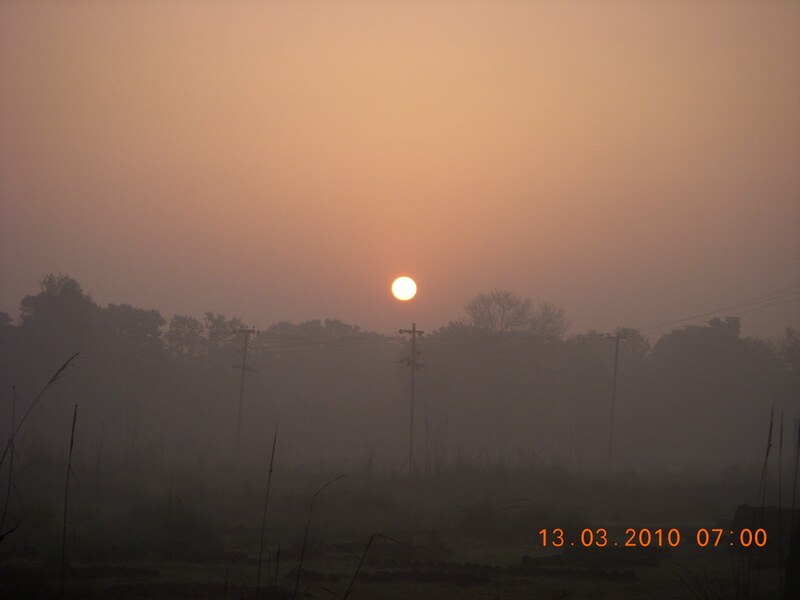 Some of my colleagues were sleeping during journey till here, they went and wash their face so that they could enjoy the beautiful scenery during morning time. 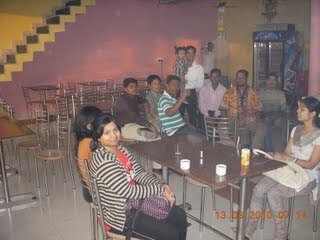 We had also taken some pics while having tea. Then again our journey begins. After some time we reached Meerut. It was huge premise of Meerut we take time to cross it. 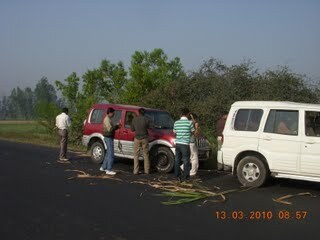 It was around 8:50am, on the way, there were many villages and grounds full of sugarcane. Both sides of roads we could see Sugarcane. Suddenly our driver stops and the other car also stops and then all the boys of our group started running towards the ground for taking sugarcane, this was one of the most enjoyable moment of our tour. They all bring sugarcane and we have fun while eating those sweet sugarcane. Then we proceed to Bijnore after that Dugadda and so on. Our next halt statio n was Kotdwar; it was around 11:00am when we reached. We take breakfast in a restaurant and started towards Lansdowne. It was around 45km from Kotdwar. Finally, we were very near towards our destination but the roads where zig-zag through all the way. We were going up and up at some point I feel scare due to height. But really I could say the beauty of Lansdowne is very amazing. 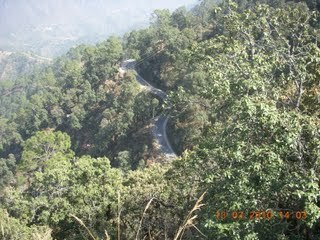 On the way we find a national park but could not see any other animal other than monkeys, because we were going to Lansdowne and not inside of national park. 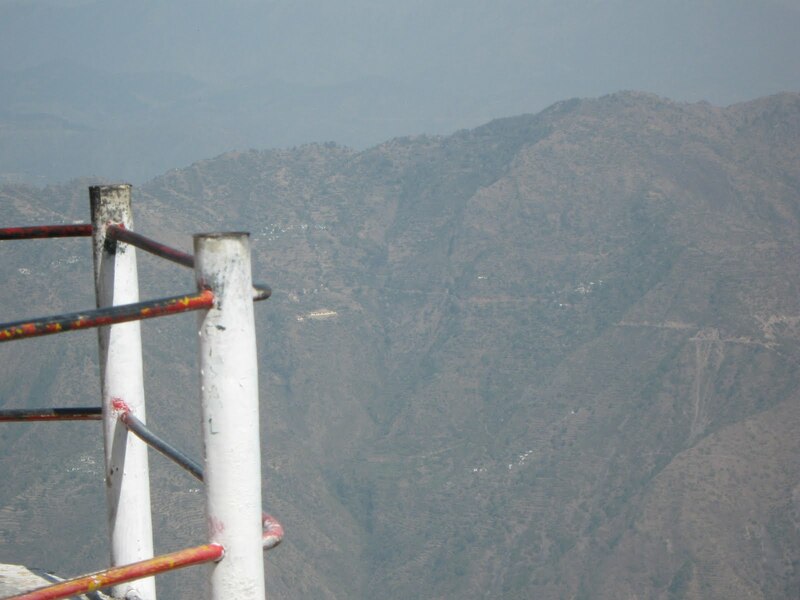 Lansdowne is a small hill station in the north Indian state of Uttarakhand and Pauri Garhwal district. 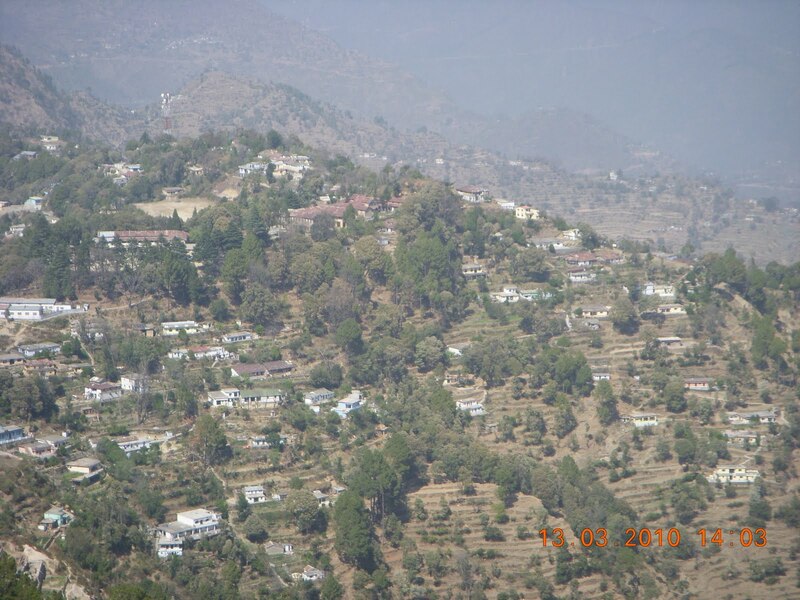 The climate in Lansdowne is most pleasant. The British during their rule established cantonment here. The Garhwal Rifles of the Indian Army had command office here. 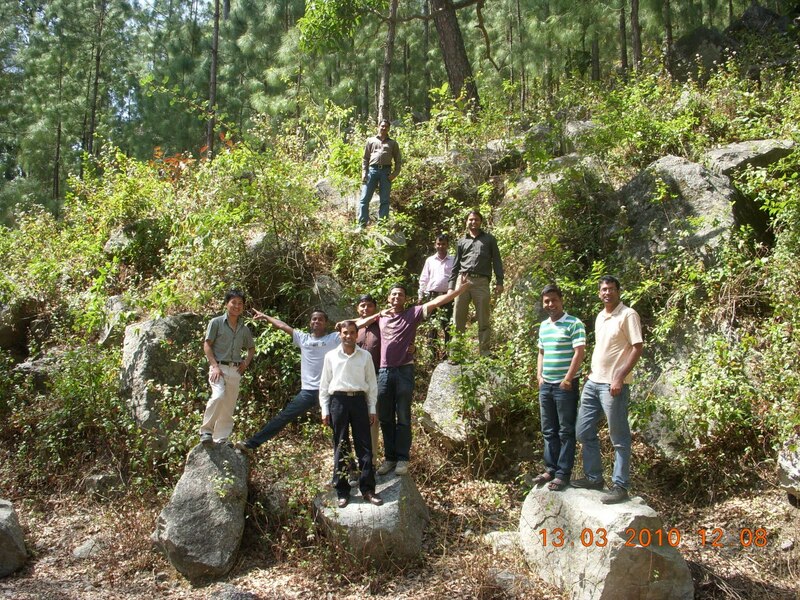 They maintained the place at their best in terms of cleanness, proper road, and conserving nature. 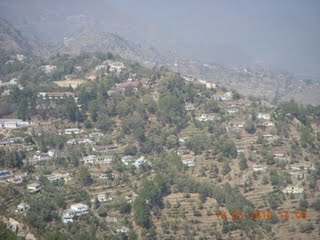 While travelling through Lansdowne we can see it was surrounded by thick oak and pine forests. 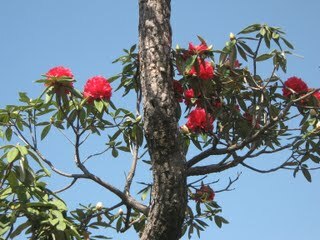 Really we can say the beauty of Lansdowne is the gift of God. It is the right place where tourists can adore nature in its eternity. It was my trip in which there is combination of adventure and scenic trip. Adventure in a sense that we climb some of mountains on the way to Lansdowne, and scenic because I found it is one of the most clean nature spot. On the way we took many pictures while climbing hills and the nature`s beauty. It was one of the best drive I ever had. 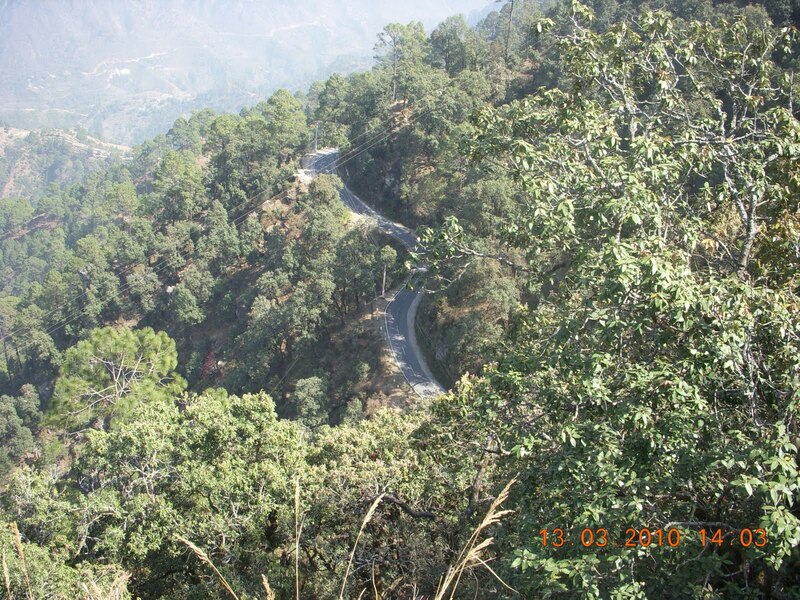 When we reache d Lansdowne, the first view was breathtaking and we all say Wow! 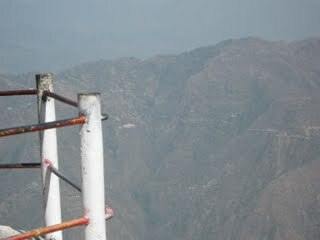 !……We were at top and can see down small houses, local people farms etc. The view was so angelic. At present, this place draws many tourists, from all over the world. It is a perfect place to visit because you can save from crowds. Our first destination was Bhulla Lake. 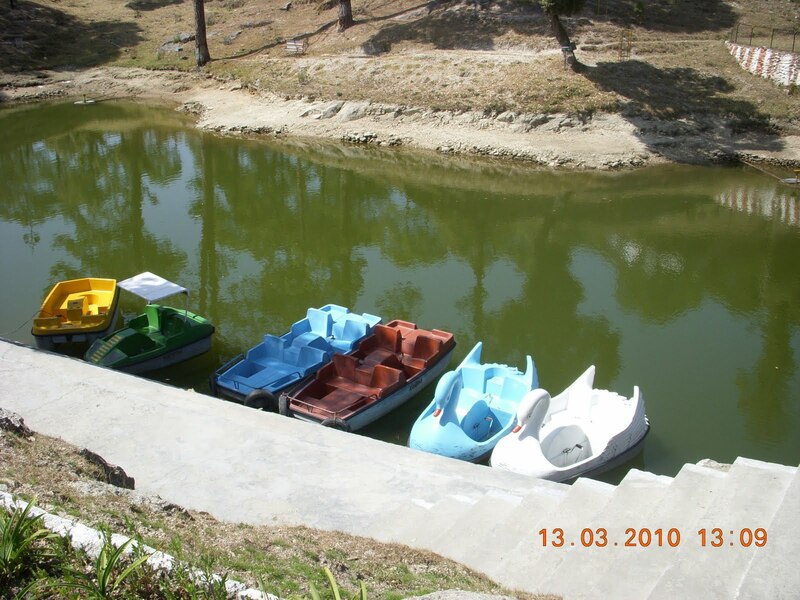 A well maintained and decorated lake where you can have fun while boating and relish in Fun Park. We enjoyed so much when we sit on sea-saw, jhula, we had done sliding and many more things. You can say we had enjoyed a lot. Beside the park there was Army School. Our next destination was Tip-n-Top it was at most at the top. 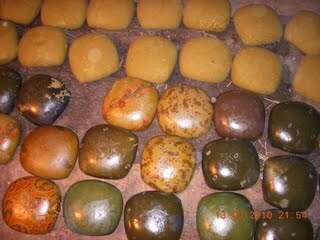 Here we come to know about a flower named Buras which is good for heart. One of the local men told me about this flower. 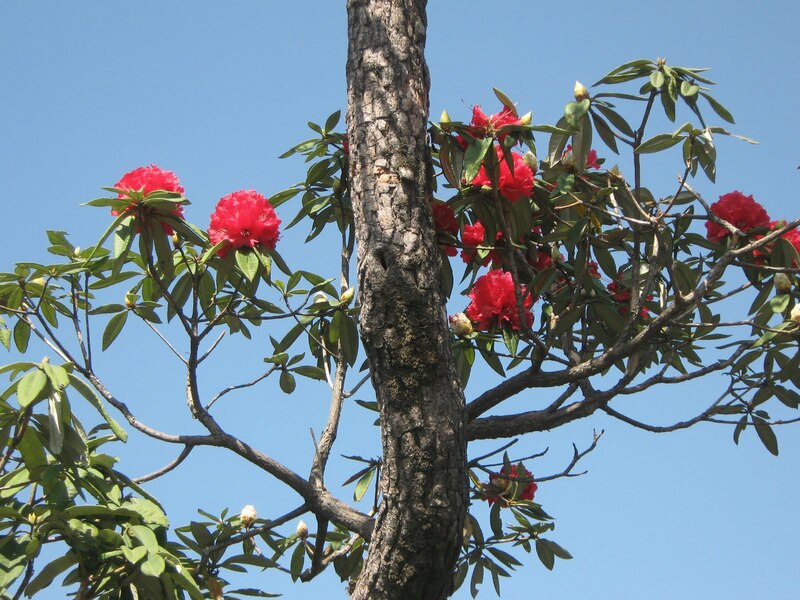 The flower is red colored and beautiful. What I can say about Tip-n-Top, I had no words. Most amazing, alluring kind of spot this is. On this top I saw Holiday Cafe & Restaurant; if somebody wants snacks or lunch can have here. We were feeling at the top of the world. From here we could easily see the snow covered Himalaya Mountain. The view from Tip-n Top can be defined marvelous. As you can see in the image view from Tip-n-Top Point.The cool fresh air was blowing giving us pleasure. From here we climb a little more and saw tree houses which were well maintained. 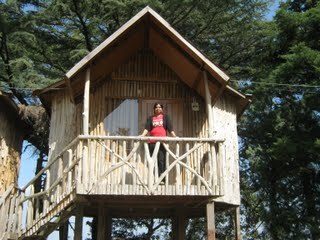 The tree house cost Rs.2500 a night. After this we went to an ancient temple at the top. It is Santoshi MaaTemple. Then we had some games, play cricket and had fun. At around 4:15 we come to city market for having lunch. After taking lunch we proceed back for Delhi. On returning on the way due to excessive driving, our car got heat so we ha ve to stop. Here the scene was so alluring. We went downwards, water flowing through pebbles and we can easily see fish swimming in water. One of my colleague Karthe catched two fish. Here we halt for 35 min. Again we start our journey while viewing marvelous view of Lancedowne. 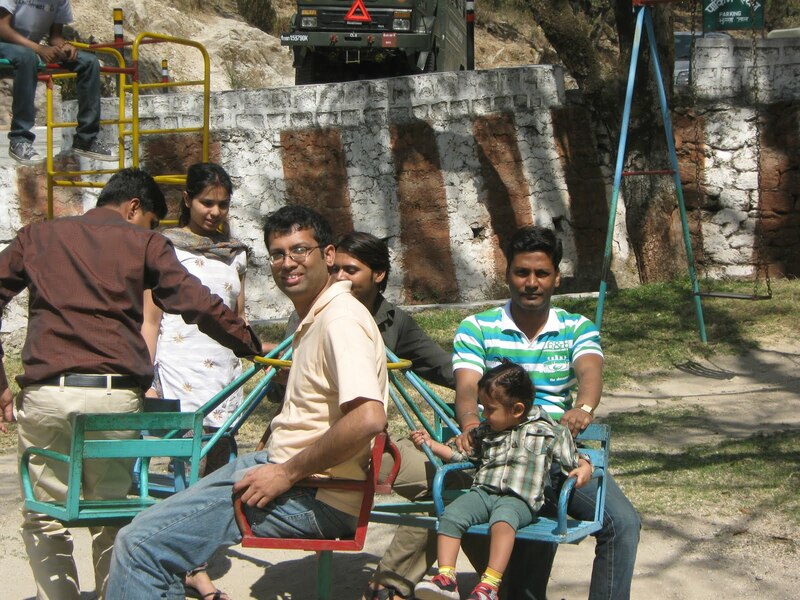 While coming down through zig-zag hills we play antakshari game and enjoy immense beauty. At around 6:35 we reached Sidhbali temple. We went up to the temple because it was situated on a hill. We took some sweets for doing prayer and giving to God.The view from top of the temple was very attractive.After spending half an hour we left Sidhbali Temple and proceed towards Kotdwar and so on. On the way back to Delhi there were many villages as I had earlier discuss wh ere sugarcane found in ample.So we decide to stop over a village and see how people used sugarcane for making jagerry.It was around 9:00pm when we reached here.The driver took us their because he had much knowledge about the whole place. We all went inside a big hut there were one big machine in which sugarcane where grinding from which its juice is coming through pipes and filter in three way process and boiling. In my whole lifetime I had never experience like this.We learn how they make jagerry.The jagerry was pure and all of us tasted it several time.We also had fresh sugarcane juice there.Some of them have 6-7 glasses of juices. But really I could say that we were very happy to come here and enjoy alot.Here we spent 1 hour. After having fu n we come back to car and starts journey. It was around 10:00pm. The driver makes more speed so that we could reach Delhi in time.12:00 am at night we had dinner in dhaba. The food was simple and good. We reached Delhi around 1:15am and I reached home around 2:00am after dropping my colleagues.The journey came to end.The most memorable trip of my life till now where I had fun,enjoyed a lot the true beauty of nature,mountains,forests and watching all the attractions.I am so happy that we choose Lansdowne for making holiday trip. 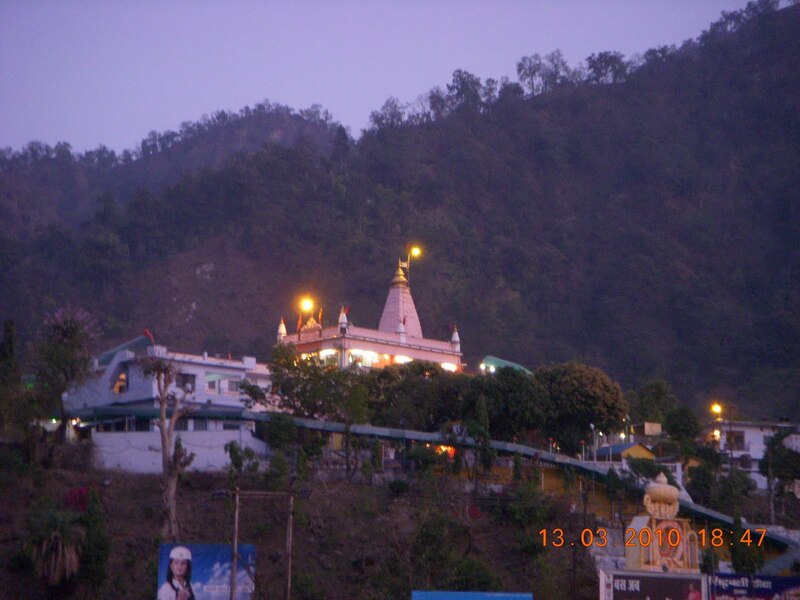 Attractions:Karnva Ashram is located 14 km from Lansdowne,Sidhbali Temple (3 km) and Charaik Hills (20 km),Jwalpadevi (52 km),Tarkeshwar Mahadev (30 km),Durga Devi Temple,St. John’s Church,Bhulla Lake,Tip-n-Top,Santoshi Mata Temple,Bhairav Garhi temple,tree house,Jungle safari.